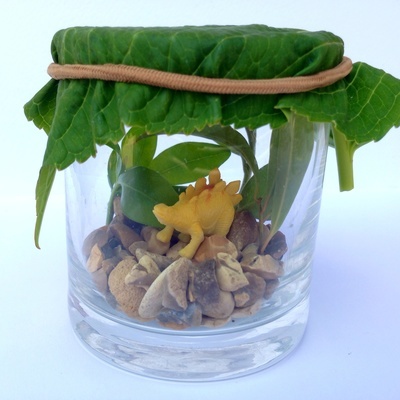 Create your own dinosaur world in a glass or jar. 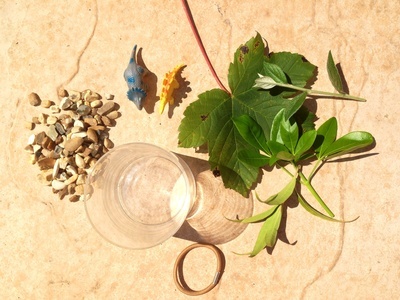 Have fun collecting leaves and other natural materials from the garden to make your dinosaur habitat. Gather leaves, twigs, small stones etc from the garden. 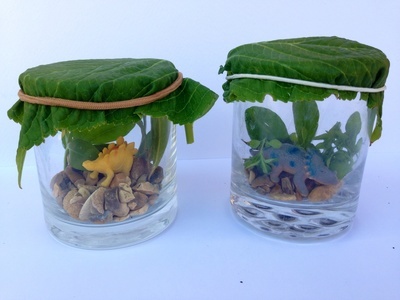 Place them into a glass or jar to make your dinosaur habitat. 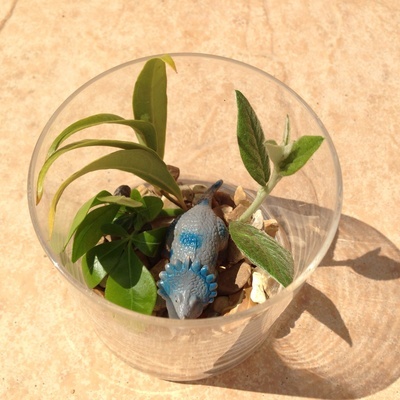 Place the plastic dinosaur amongst the foliage. 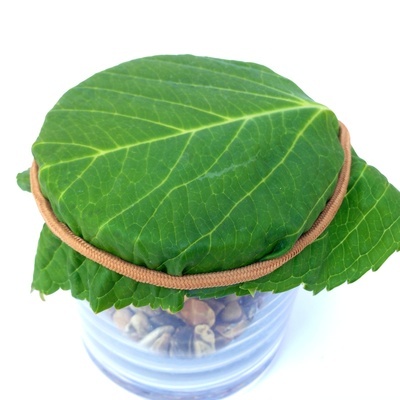 Cover the glass or jar with a large leave and secure with an elastic band. Your mini dinosaur world is now complete.